Just a few weeks ago, those who like to keep a keen eye on the local press may have seen a very forthright article in the Visiter which in no uncertain terms declared the future of Southport Hospital and its A&E “safe” and “not under threat”. It followed fears for the hospital after criticism of surgical standards and safety and also the privatisation of its community and urgent care services, which went to Virgin Care in a contract worth £65m. The town’s new Conservative MP, Damien Moore, featured heavily in the Visiter article and he firmly dismissed concerns about the hospital’s future stating “the suggestion that Southport Hospital needs ‘saving’ is nonsensical and misleading“. Towards the end of his considerable contribution even the keen-eyed might have missed that he did not completely shut the door on the possibility of “considerable change” but as he soothed the readership by claiming that, if so, it would be a decision for “experienced medical professionals – not bureaucrats or politicians – and on the basis of patient safety”, it might not have set alarms bells ringing. It certainly should have. In any event, they might possibly have been drowned out by all the thundering reassurance on offer, given it was then immediately stated in the piece that “the future of the hospital has never been more clear”. It was a bold and confident move that deserved a “Bravo” for its bravura, perhaps it even earned him a Charlie, Lima, Alpha, Papa, back in the control room of Conservative HQ. 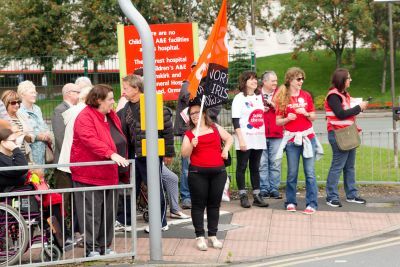 Over 100 protestors, the vast majority Mr. Moore’s own constituents, had gathered at the main entrance to voice their concern for the hospital and their disapproval of Mr. Hunt and Conservative cuts. 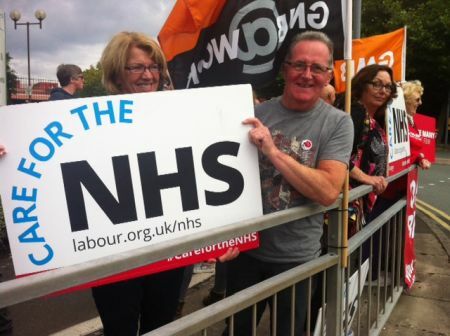 Organised by Southport Labour and Liz Savage, the town’s Parliamentary Candidate in 2015 and ’17, the protest also involved the GMB, Royal College of Nursing, hospital staff and Sefton Central MP, Bill Esterson. Attending the hospital as part of the Hunt entourage, the previously bold Mr Moore decided to avoid them all by taking a side entrance. It wasn’t the only apparent change in attitude by him. When interviewed on site by BBC North West Tonight’s Health Correspondent, Gill Dummigan, he rightly pointed to the hospital’s recent improvement in care standards. He also told her that the future of the hospital was secure. When the doughty Dummigan specifically asked about the future of the A&E, however, his response was described by the reporter as “less certain”. Indeed, it seemed the only thing Mr Moore was more certain of was his determination to give the hospital trust the old “hospital pass” on this one. At present, there is a local review of service provision in process. This review comes after plans to downgrade the A&E were included in the local version of the STP, the vehicle by which Mrs May’s Government are looking to make over £900m in cuts in Cheshire and Merseyside. Consequently, the review report is also a big part of the uncertainty hanging over the hospital’s future capability. The problem for Southport Hospital, its NHS trust, and the people of Southport is that instead of actually being a good beat cop, Mr. Moore appears to be playing political “cups and ball” with the A&E issue. “Cups” is the age-old game where you have to guess which of the three cups the ball is under. It’s a favourite back alley hustle the world over and a classic of the art of misdirection. In this case, the “ball” is the decision on the A&E and the cups are the supposed decision makers. Is it a clinical decision? Is it an administrative decision? 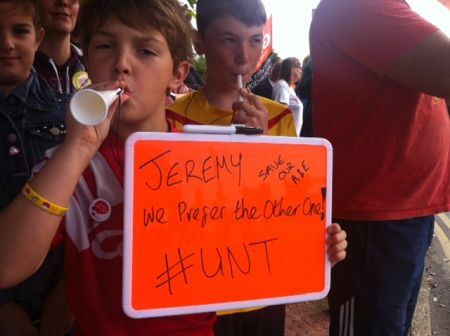 Is it a joint decision after public consultation? During his visit to the hospital, we understand that Jeremy Hunt found himself unexpectedly confronted by medical staff who essentially gatecrashed the talk he was there for. A junior doctor challenged him over his previous claims regarding the “Weekend Effect” on mortality rates so recently and publicly derided by Professor Stephen Hawking. Mr Hunt showed he’s no slouch at misdirection himself by appearing to suggest to those assembled that HE was the one defending the NHS from Prof. Hawking! We certainly did not see that one coming. He also said that due to the conflicting evidence on the issue he’d been advised to choose the side he did. It seems an oddly unscientific basis for such controversial claims, for his proposed changes to hospital working practices, and for subsequently getting into an argument with the world’s most famous scientist and was one which led to claims of cherry-picking from the audience. In addition to all this, we believe that the hospital chaplain no less asked him for reassurances about A&E. We suspect Mr Hunt did not earn himself any grace by refusing to give any. A senior consultant meanwhile asked if the Secretary of State could reassure them that the STP would address the yawning gaps in recruitment, once more the ball was placed under a cup when Mr Hunt responded that this would be a matter for the local STP. He did tell the meeting that he was fully committed to the NHS but then also said that as a Conservative he was opposed to publically owned services. This as he stood talking to public sector workers, on public sector land, in a public sector hospital. It does not bode well but perhaps it’s not so surprising from the man who literally co-wrote the book on how to dismantle the NHS and replace it with a US-style private medical insurance system. The man the Conservatives have put in charge of the NHS. There is a significant and rather sad irony in all of this, as Southport actually has a strong claim to being the birthplace of the NHS. Back in 1934 at the Garrick Theatre on Lord Street, it’s now the town’s bingo hall, the Labour Party held its annual conference. It was at that conference that the creation of a national health service was first adopted as party policy. It took 14 years, a second world war and the resulting Labour Government for it to come into being. In the meantime, it has become the cornerstone of our welfare system, a point of national pride and an object of international envy. The 2012 Health and Social Care Act they brought in also allowed the once creeping now sweeping privatisation that is currently undermining it. It’s what enabled Virgin Care to take over those services from Southport Hospital this summer. 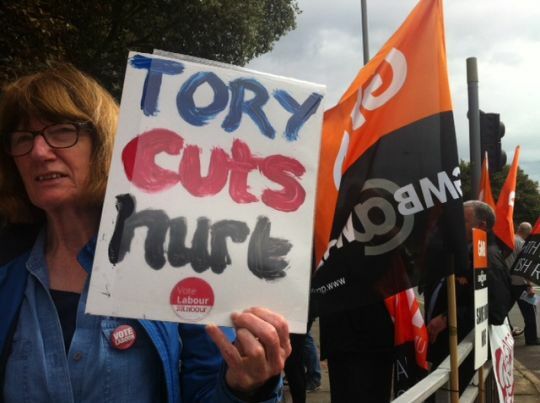 The Conservative’s ramping up of the austerity programme has further hamstrung NHS funding; their 1% pay cap is further demoralising its staff. Most importantly, despite what Mr. Moore wants you to believe, the current decisions over service provision and the future of our town’s A&E are not at their root actually a clinical matter, it is instead essentially a matter of choice made by a Conservative government hell-bent on further cuts, one that clinicians and administrators are struggling to do their best with. If that ultimately means downgrading our A&E, Southport’s residents will also struggle. In such distressing circumstances, the people of Southport will not forget how their local MP and his party played a game with them and their hospital’s future. That at least will be clear.